John Dunlap was a low level Printer who secured a very lucrative Government contract during the American Revolution. Dunlap’s contract set him up to print the first copies of the Declaration of Independence, which were sent around the United States informing them that they were now The United States. In 1757 a ten-year-old Irish boy was put on a ship and sent across the ocean. He was an apprentice to his uncle and in less than a decade owned his own print shop. After another ten years passed, he would be the first person to publish one of the most important documents in American history. His name was John Dunlap. He printed the first copies of the Declaration of Independence. As hostilities between colonists and Great Britain grew tense, John Dunlap joined the Philadelphia Militia. He was commissioned as a major and led his men in several successful missions during the New Jersey Campaign. He returned to Pennsylvania and continued to work at his print shop. While it may seem like government contracts are a new thing, they were actually important during the American Revolution. Many merchants grew very rich because of the war. Although Dunlap may not have found vast wealth (yet), he was able to secure the rights to print papers requested by the Continental Congress. When, on July 4, 1776, the Continental Congress approved the final version of the Declaration of Independence, they sent the document to the printer. That printer, as we have established, was John Dunlap. Dunlap printed approximately 200 copies of the Declaration that night (although we will never know for certain the exact amount). Benjamin Franklin, the colonies most famous publisher, and Thomas Jefferson, the Declaration’s author, both appear to have come by to oversee publication. I assume it must have been very stressful for John. When the first copies of the Declaration of Independence were sent out across the United States (to, you know, inform the people that they were now the United States) the documents had three names. First was John Hancock. We now think of this name because of his ‘big signature’ on the Declaration, but his name first appeared in print because he was President of the Congress. The third name was John Dunlap. Like most printers of the day, he put his name on the bottom of every page for the free advertising. This seemingly minute detail actually meant that when the American People first read/hear the Declaration of Independence, Dunlap was one of the three names they would have associated with the document. While the printing of the Dunlap Broadsides was the crowning moment of John’s life, it is far from the end of his part in the American Revolution. He would continue publishing the Continental Congress’ papers for several more years, losing the contract after printing certain leaked documents which announced the American alliance with France just a bit too early. It is often overlooked that Dunlap was also the first person to publish a copy of the United States Constitution, this time in one of his newspapers. Lastly, there is an image in the public that John Dunlap was a simple printer. This is far from the case, as his success as a publisher gave him the finances with which to purchase land. Unlike many other Founders, Dunlap succeeded in speculation and was able to retire by the age of 50. Want to read about the woman who published the first copy of the Declaration which included the signers’ names? Then you simply must read Mary Katherine Goddard Reveals the Signers of the Declaration. 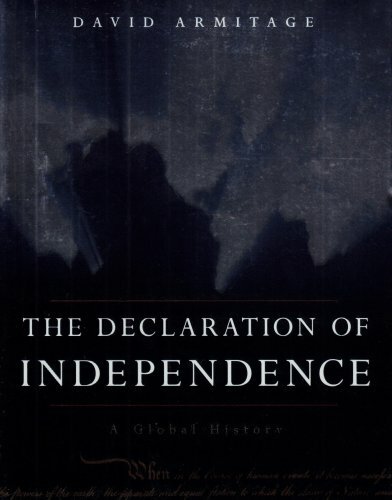 Want to read about the importance of the Declaration to the whole world? You’d be surprised how many times it’s been copied. A Global History’ travels around the world, discussing the lasting impact the Declaration has had on those of all nations who seek freedom. Pick up a copy through the Amazon affiliate link below (you’ll support this site, but don’t worry, Amazon pays me while your price stays the same).